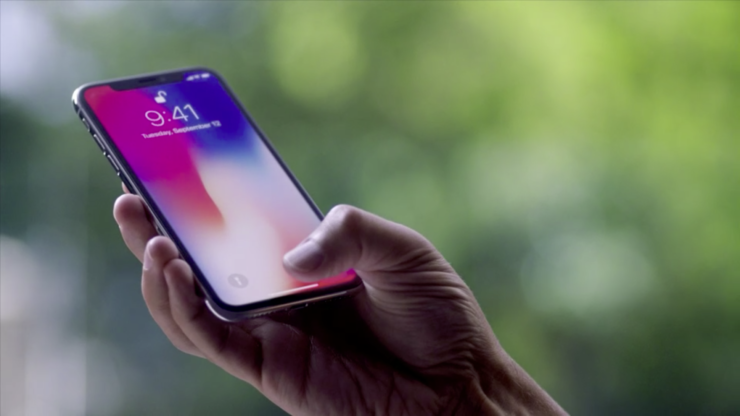 A survey has been conducted last month by the research firm Creative Strategies that derived information that the iPhone X has a 97 percent customer satisfaction rate. As noted by John Gruber, the number is primarily among early adopters in the United States. However, there is one area where the iPhone did not do quite well. That’s right, Siri was not part of the most appealing features. So let’s dive in to see some more details on the stats. 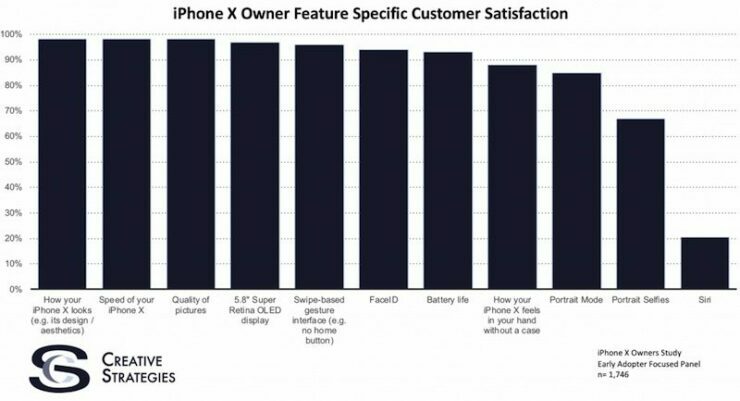 The remaining 12 percent of respondents stated that they were only “satisfied” with the iPhone X while 3 percent were “unsatisfied” to some extent. If numbers are anything to go by, you must remember that the original Apple Watch also scored a total of 97 percent customer satisfaction rate. However, the number of people falling under “very satisfied” was 66 percent. The new research is close to the one by 251 Research which gave the iPhone X a 99 percent of customer satisfaction rate as per Tim Cook. However, Creative Analyst has stated that their survey had a higher number of respondents and hence the results are more balanced. To be precise, the total number of respondents was 1,746 and were profiled as early adopters. Each feature was quite popular among the early adopters. However, the only one to fall short was Siri, which gathered just 20 percent of satisfaction rate compared to the likes of Face ID and battery life which scored above the 90 percent mark. Creative Strategies note that early adopters are more critical than usual mainstream consumers. Apple has fallen behind other digital AI assistants on the market. There will be more to the story, so be sure to stay tuned in for more details. This is all for now, folks. What are your thoughts on the iPhone X scoring 97 percent customer satisfaction rate? Do you think Siri is overrated? Share your views with us in the comments.